MacArthur Genius Grant Awardee and National Book Award Winning Author (Between the World and Me), Essayist, and Social Critic Ta-Nehisi Coates reinvigorates the Wakandan warrior Black Panther for a new generation of readers. 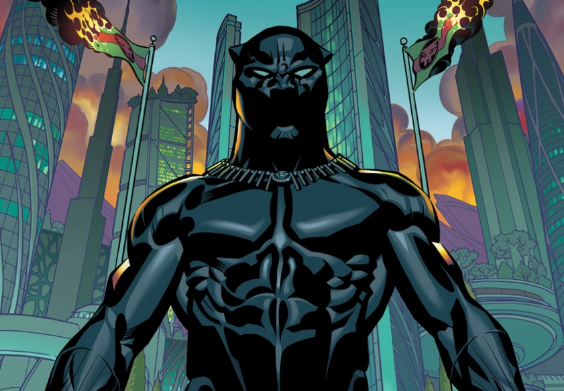 Ta-Nehisi Coates and Brian Stelfreeze’s update of Black Panther for the modern era. Infused with a social and political urgency uncommonly present in comics, the most advanced society on Earth (Wakanda) is in the midst of revolution and unrest and the warrior/prince T’Challa must deftly balance the duties of superhero and monarch. Brian Stelfreeze’s artwork is cinematic in its scope and movement. Black Panther will have a major role in the Marvel Cinematic Universe (MCU) as Director Ryan Coogler (Creed, Fruitvale Station) helms the upcoming film starring Chadwick Boseman (42, Captain America Civil War). If this comic series is any indication, Black Panther will be the prototypical hero for the new millennium. Watch the video recap of Black Panther issue #1 paired with the music of Run the Jewels. The response to this series (now in its third issue) has been overwhelming and Coates is providing a video update of each issue paired with exciting new music from artists such as Run the Jewels, Mobb Deep, and Prodigy.